Few symbols are as universal, nourishing, and powerful as the Tree of Life. This particular take on the symbol captures the movement of winds, and the forces that flow up from the roots, to the leaves of the tree. The image came in a winter dream to our Lead Designer, Helen. Known as the Tree of Life Earrings. 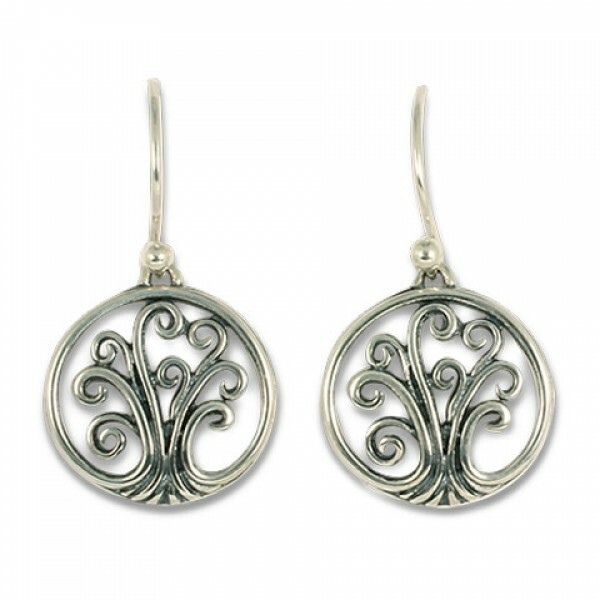 These earrings are a part of our Tree of Life collection. Dimension: 1 1/8 x 5/8"